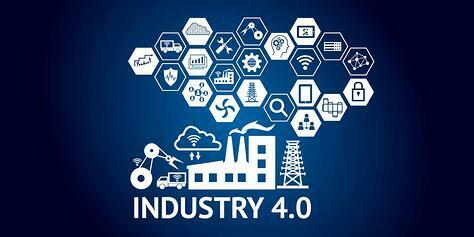 The manufacturing industry has been keen on getting on board with the Industry 4.0 trend, and while the entire idea is enticing, the details aren’t that simple. The Smart Factory promises intelligent decisions based on the data connected from various devices and assets. This is both a blessing and a curse since interconnectivity introduces greater complexity, need for greater management and foolproof network security requirements. If skimmed over, the complexity not only increases several-fold but also adds the risk of a major breakdown and as a result loss in productivity for the industry. 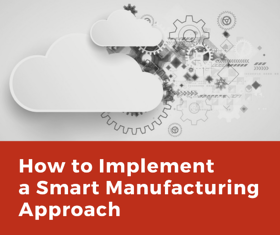 Increased bandwidth, robust testing and anticipative planning are some of the steps that must be taken care of, otherwise the whole Smart Manufacturing approach falls apart. A Smart Industry heavily relies on the data collected from its industrial assets to carry out analysis and recommend solutions beforehand. This means that the communication system is about to get burdened with hundreds of devices ranging from sensors to controllers to assembly lines. The automation system in place should have the necessary hardware as well as software capabilities in place to handle the higher bandwidth demand. For instance, introduction of distributed I/O systems that have dual 1-gigabit Ethernet ports provide the system 10 times faster scanning capabilities. The higher capacity can then enable the SCADA system to collect and act on data in shorter time durations. Collecting every single bit of data that flows within the automation system isn’t the option. A systems engineer should make effective decisions and prioritize nodes based on the tasks they perform. Filtration of data would ensure that the HMI processes data in a manner that is easily understandable to the user. For instance, the process of system diagnostics shouldn’t take place for the entire system, and shouldn’t take into account irrelevant data. Nonetheless, HMIs have developed to a great extent and provide in-depth analysis, if thoroughly planned. Graphic terminal screens are available in larger sizes while interconnectivity has allowed engineers to plan the entire HMI in a modularized manner. Furthermore, the use of mobile HMIs has greatly eased the way executives take decisions, all in a timely manner. Design tools have been conventionally used in the industry when it comes to proposing any type of solution. As a result, the designer is forced to get acquainted with many tools that form an interconnected solution, which at times is sluggish. Furthermore, sometimes the designer even needs to cope with incompatibilities that result in redundant programming and in conclusion wastage of resources. Interoperability is one of the keys to Smart Manufacturing. Every single protocol or interface should be made compatible with the other to ensure that efficient solutions are designed. Integrated Development Software are making their way into the market that contain sophisticated features and allow teams to work together. Improvement in primitive technologies has also been a bonus for developers who are well-versed in their fields. The introduction of OPC UA has been wonderful as it has allowed developers to shift towards a unified approach to protocol handling, rather than the previous one that was bogged down and was extremely unsecure over a Wide Area Network (WAN). When designing a “Smart Manufacturing System”, a company would not only need to revamp its communications systems but it would also have to upgrade existing hardware such as controllers. Newer controllers offer 45% greater application capacity that can greatly reduce choking and need for supplementary hardware. For instance, newer servo drives have both servo as well as vector motor controls, embedded within a single platform that reduce motor wiring as well as cabinet space. As the complexity increases so does the probability of error. The entire troubleshooting process has to be designed with extreme care. A central troubleshooting mechanism may sound easier to develop but it can greatly put a strain on resources. Instead, an industry should introduce self-diagnosing hardware that pack processing capabilities enough to report their own statuses to a central pool. This would ensure maximum performance and timely rectification of faults. Furthermore, in depth analysis carried out by the hardware itself would allow the central unit to carry out predictive maintenance decisions before the situation deteriorates. The best for the last. Security has always been an issue, since the emergence of networked systems. A Smart Manufacturing system not only has to protect itself from localized threats but from external malicious attempts as well. Network infrastructure plays a vital role in securing the entire platform, and checks need to be placed at every single focal point. Putting data over to the cloud is a key feature for the Smart Factory. This makes the entire operation prone to cyber-espionage, which is one of the worst things that could happen to a company. Securing external access and existing networks should therefore be a top priority for the developers. In addition, there is a need to understand that this can’t be one-time process. Constant, rigorous development and upgrading of the security infrastructure is the only thing that can prevent a major breakdown in operations, and in effect actually help the company reap the benefits of Smart Manufacturing approach.